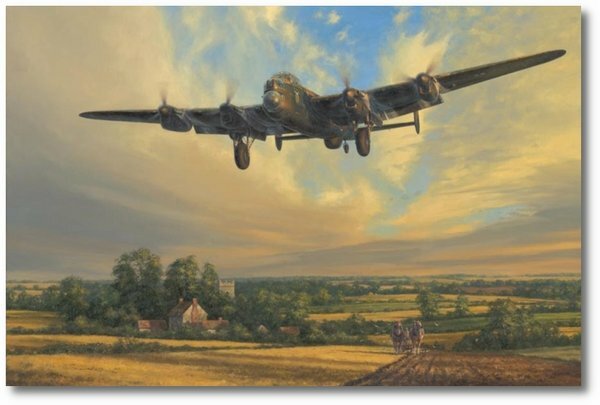 The Avro Lancaster was undoubtedly the RAF’s greatest heavy bomber of World War II and, as the war progressed, formed the backbone of Bomber Command’s night offensive deep into the heart of the Hitler’s Reich. From its first operational sortie in early 1942 until the last of the 7,377 aircraft built was delivered in February 1946, the Lancaster’s outward appearance remained much the same – testament to its design, and to four brilliant Merlin engines. Many of the most spectacular raids of the war, such as the breaching of the Möhne and Eder dams in May 1943, and the sinking of the German battleship Tirpitz in November 1944, were carried out by Lancasters. Ten Victoria Crosses were awarded to Lancaster crew and, by the end of the war in Europe, these mighty bombers had flown over 156,000 missions and dropped more than 608,000 tons of bombs, but at a huge cost: Aircrews faced some of the worst casualty rates of WWII and some 3,500 aircraft were lost on operations. Only a handful of Lancasters survived to complete more than 100 operations. Lancaster JB663 King of the Air was one of those, symbolically chosen by Anthony Saunders as the subject for his stunning piece to accompany his new book. This resilient aircraft survived the war having flown 111 operations, and is seen here on the morning of 29 July 1944 as Flight Sergeant S H Jones of 106 Squadron brings her safely home to RAF Metheringham after a night-time mission to Stuttgart. 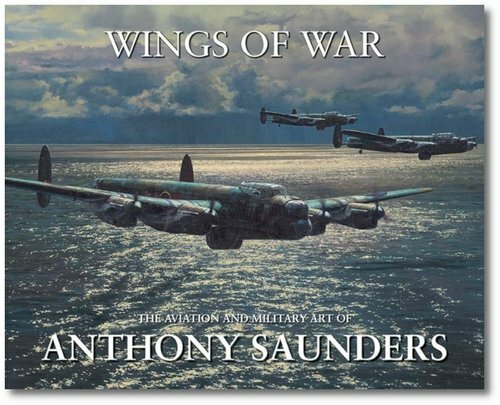 With prints signed by two of the most highly-distinguished veterans ever to have served in Lancasters, including 'Johnny Johnson' who also wrote the foreword, this new release rightly earns its place among memorable publications. Canvas Giclée Studio Proof: - Issued pre-stretched, each Giclée Studio Proof is numbered and signed by the artist and issued with an individually numbered limited edition copy of the book Wings of War, presented in its own luxury embossed slipcase.